The first Incredibles film was released in 2004. The Brad Bird-directed feature is the number one request for a Pixar sequel, even from among many who prefer that the studio focus on non-sequels. The most probable reasoning behind that is that The Incredibles is often cited as being one of the best superhero capers (I would argue that its focus on family, rather than the superhero aspect is what makes the film so good). A sequel is indeed in production, and is being released sooner than originally announced, as it is now coming in 2018. Work on the film is well underway, including voice work by its great cast. Samuel L. Jackson somehow manages to have time to be in 3,000 films a year (not a typo – sarcasm). 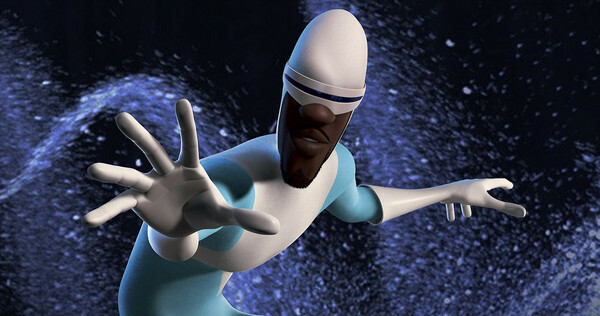 Even in light of his illustrious resume, it is the actor’s take on Frozone in The Incredibles that is one of his most memorable. He is, of course, headed back for the sequel and has already started doing voice work. Yes, not much to see. Still, news of voice work beginning on the film means it is inching closer to release. The Incredibles 2 is headed to theaters on June 15th, 2018.